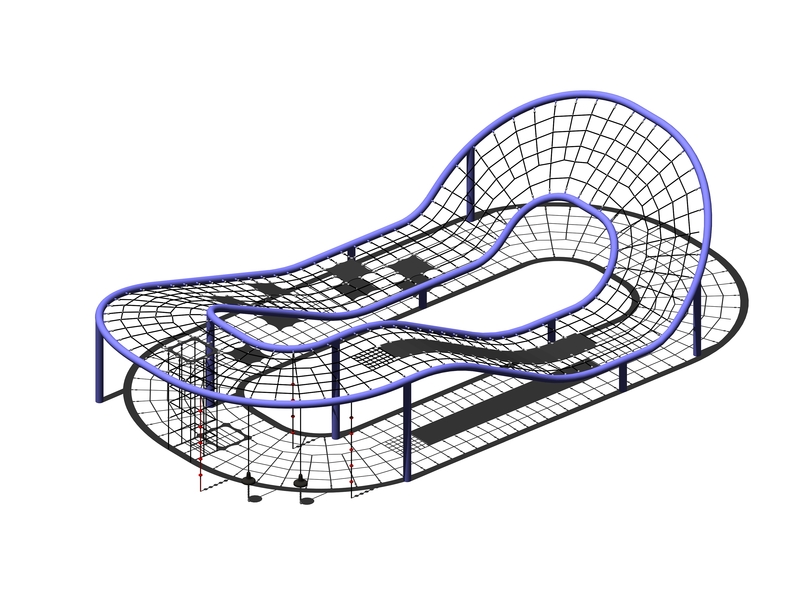 Kaebel Leisure asked us to construct a large playground structure that they had drawn up and submitted to a local Council. Once accepted by Council, the challenge for Kaebel Leisure was to work out how to build and install it. Kaebel Leisure were referred to us by an existing client on the recommendation that we would work with them on how to construct such a non uniform piece of playground equipment. The structure was comprised of many obscure shapes. We worked with Kaebel Leisure on determining where to locate the uprights so that they could fit on the specific site that already had a concrete slab laid. We manufactured all of the varying shapes and had an interesting challenge with datum lines as the shapes were all curved. After manufacture we advised on assembly and the structure was shipped for painting, adding of netting and on site construction. It was an interesting challenge to manufacture this structure which offers something different from your ‘run of the mill’ playground.